Stigma buries these statistics, that’s why this Eating Disorder Awareness Week, NEDIC hopes to spread the message that eating disorders cannot afford to wait. “It’s in all aspects of that theme: on a prevention level, treatment level and research level. These will all have multifold benefits for the rest of society,” says Aryel Maharaj, Outreach and Education Coordinator at NEDIC. 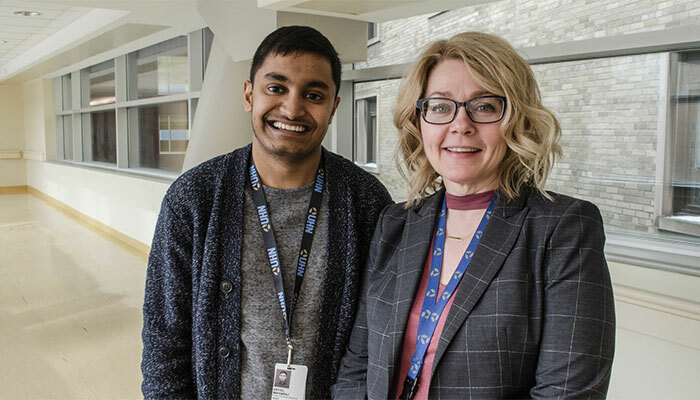 Instead, Aryel says his team focuses on discussing less-stigmatizing topics that are important to eating disorders, such as having low body self-esteem, Photoshop and image editing, dieting and healthy relationships with food. He says they also discuss the intersection between a person’s biology, psychology and society that may impact how they feel about themselves. Aryel says this is one of the struggles his team faces when engaging with the public: how to have safe conversations that don’t further stigmatize, but rather reduce the stigma through proper education. “We certainly try to accommodate the reality (of existing stigmas), but the ultimate goal is not having to accommodate in this way because we would all feel comfortable talking about eating disorders,” he says. This year’s awareness week features a “Show Us Your Purple” social media campaign, which is an opportunity to reduce the shame and stigma associated with eating disorders. Everyone is encouraged to take a photo of themselves wearing something purple, or a purple object around them, and post it to social media.